Technology has brought efficiency and advancement in our day to day life and made it easier and entertaining. In this article I am going to tell you about the nine best Chromecast Apps which have highly influenced people’s lives, starting from the Chromecast device. A Chromecast is a media adapter from google that is used to play content such as online videos, streaming movie, playing music on digital screens. As a teenager, I was always fond of watching series, movies, and music. There are a lot of Chromecast apps which are readily available and can be efficiently used in our devices, and below mentioned are the most recommended ones. The most widely used application on every device is google home. Google has given us incredible features such as voice control, web browsing, updated news, weather forecast and many more. 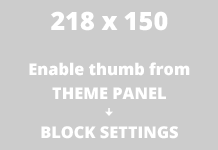 We can even customize its use as per our use, all that needs to do be done is to set up the app in Chromecast adapter and enjoy it on T.V, desktop, tablet, etc. Boom!! The growing addiction of every kid, teenager, an adult is Netflix. Netflix has reached millions of subscribers due to its high demand and don’t you think, if you pay for something then you must enjoy it to the fullest? So here is Chromecast, offering opportunities to enjoy all movies, shows, series on a large screen and get into the realm. You can enjoy shows like Narcos, Arrow, Little things, House of Cards, Riverdale, TVD, etc. which are amazing, and are up to date. A home for the music lover. Spotify on screen with speakers is all anyone needs to relax. Old classics, modern jazz, chilling, romantic or party playlists everything you want is here, setup Chromecast and get through your day. Just imagine watching suspicious Luthor, entertaining Mobeen, dramatic Silent Witness, funny Better Things, and many others on your T.V whenever you want? Wouldn’t it be very exciting? BBC iPlayer gives access to all these and many more shows on Chromecast so that we can use it anytime and anywhere. Do you want to learn? Learn here not only learning you can also enjoy videos, music, live streaming, explore places, vlogs, vines, item reviews, comparison and much more that also absolutely free. Create your channel, get subscribers, upload things. And no need to struggle on small devices for better details, when you can enjoy this on Chromecast device with a flawless experience. The next Chromecast App which marks its place in the list of the Best Chromecast Apps is NowTV. You can watch great movies and live sport on Now T.V with no contract. Get an excellent experience of Sky Cinema pass; Kids pass, Hayu pass and Entertainment pass, everything available on Now T.V. Chromecast will make everything worth it. Also known as 4OD. 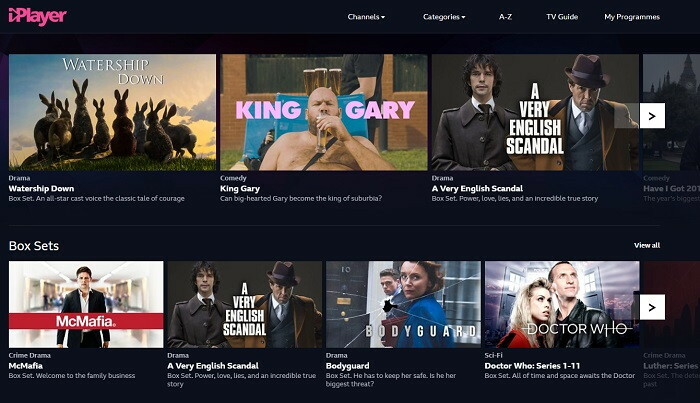 Offers Channel4 television, E4, and More4 show live or on demand, including 100s of free box sets and a whole bunch of original online shows. Anyone who is a fan of 4oD will be pleased with what All 4 has in store. This comes with an additional feature of Voiceover application which enables us to enjoy hands-free mode throughout the categories so that you can stream online effortlessly. Love sports? Then this one is definitely for you. Watch high-quality live sports of all categories. BBC Sport offers you the latest sports news, live action, highlights, searchable contents, cast it on the screen and experience match. 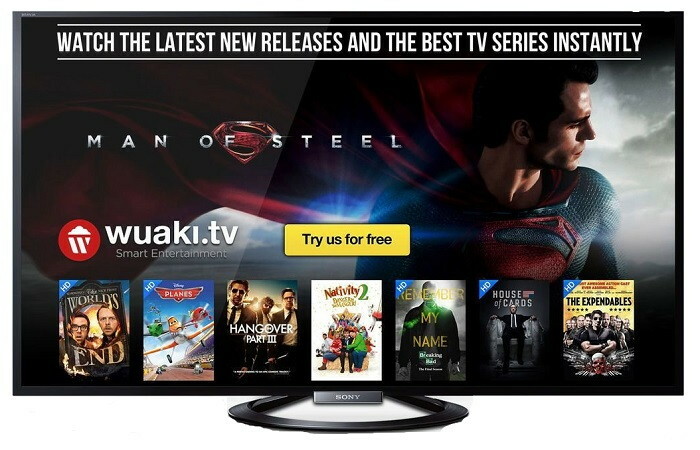 Wuaki tv offers thousands of high-quality movies and T.V series. There are affordable rental and subscription packages. You can enjoy most trending shows like GOT and True Detective on screen with hours of good quality. It always keeps you updated for the latest shows and the trending ones. Hence, one of the best Chromecast apps.